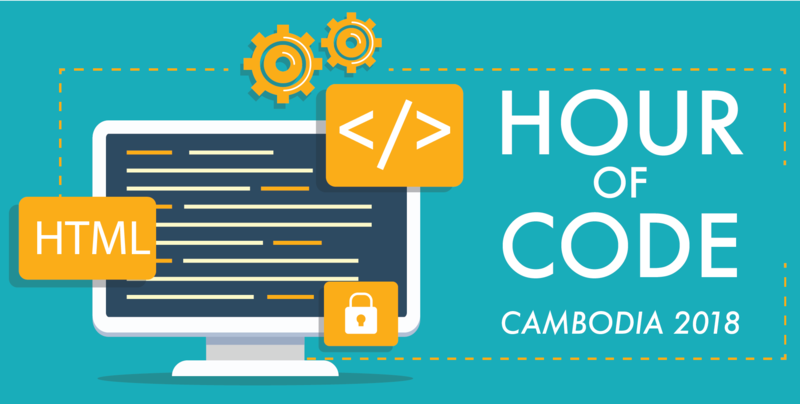 Startup news cambodia, startup news Asia, technology Cambodia, Technology news Asia | Hour of Code 2018 is Back in Cambodia! Organised by IT Academy Step, the Hour of Code is a global movement hoping to spark young students’ interest in computer science and programming. The programme started out as an introductory tutorial into computer science, with the idea of showing that anybody can learn the basics of coding as well as to broaden participation in computer science, but it has since expanded into a global movement that celebrates computer science. With more and more youths in Cambodia being exposed to smartphones and video games, the event hopes to spark young students’ interest in computer science and programming, even if they have no prior experience. IT Academy Step believes that children should not just know how to use smartphones and play video games – they should know how to create them. In one hour, they hope to show participants how easy and rewarding computer programming can be, and motivate them to continue for years. Hour of Code took place in Cambodia for the first time in 2015, with 22 different schools participating all across Phnom Penh. This time, IT Academy Step hopes to reach more schools across the kingdom. If you would like to be apart of this event, you can find more information and register HERE. Volunteers and participants are welcome!